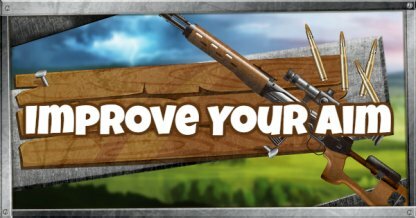 Looking to improve your aim? 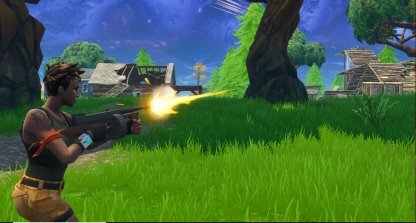 This guide will help improve your accuracy in Fortnite Battle Royale with tips and tricks! Aiming depends on how much you can improve your accuracy. This is a player's ability to successfully land shots. 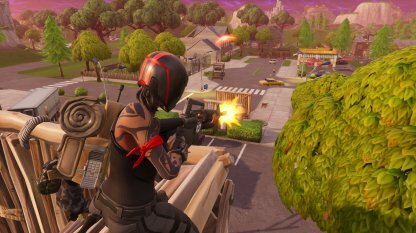 Different weapons and bullet types can affect a player's accuracy. Distance, spread, as well as angles of shooting also play a part . Find the basics of your weapons. Is it hitscan or projectile? Is it short-, mid-, or long-range? What is its bullet spread/drop? Remember to adjust to your weapon's stats. The first thing to do in-game is to adjust your mouse sensitivity. Find out what speed you're comfortable with. This boils down to personal preference but both have their own pros and cons. Find the balance between the two. Build fast and track movement fast! Practice quick shots and tracking when gunning down enemies. Consider your crafting speed and skills when choosing Low Sensitivity. It's great support for shooting, but it can hinder your crafting abilities. Follow the movements of an enemy as you shoot. Hitscans like SMGs and Assault Rifles are particularly strong with tracking as they hit as long as the cursor is on the enemy. Track the person's movement horizontally while aiming at the center of the body. Even if your enemy is jumping, your crosshair will land on their bodies. If you're jumping to avoid being shot, aim downwards as you shoot. This will allow you to hit your enemy's hitbox. 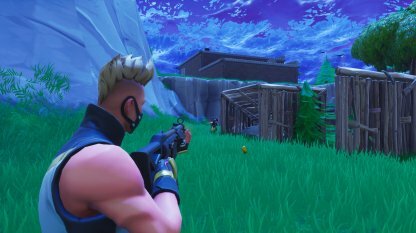 If they crouch to avoid headshots, aim at the center of their body. You will either hit their body or their head when they crouch. Gauge your enemy's movements and align your shot where you think they'll be heading. Projectile weapons like the Rocket Launcher and Sniper Rifle rely on predicting your enemy's position. Position your crosshairs in the direction your enemy is running. Set your crosshairs in front of them and shoot when they cross your sights. Anticipate out your enemy's movements and adjust to it. If they swivel left and right to prevent getting hit, shoot while they're in the middle of moving. 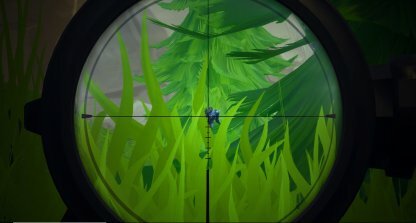 When aiming for headshots with any weapon, aim right at the center of the head. Instead of tracking, predict where they will be and shoot when they align with your crosshair. Tactics will depend on your position relative to your target. Check the direction of your enemy's path and shoot where they are headed. If they're going forward, adjust your cursor below them. If they're going backwards, shoot a bit above them. Sniper rifles are perfect for this. When anticipating their movement, account for bullet travel speed and adjust your shot a bit above their head for headshots or their upper torso for body shots. Don't panic! Keep you cool and aim for your enemy's body with your weapon. 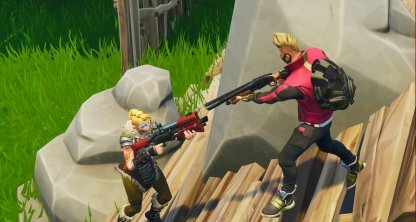 Use shotguns and shoot downwards while jumping to connect your shots and avoid being shot.